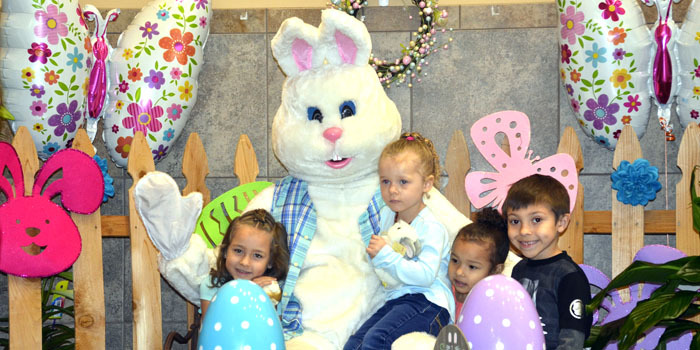 Pictured, from left, Zoriah Butts, Easter Bunny, Arianna Holloway, Everest Butts and Ayden Jansma. Everest Butts has the distinction of being the first child born at Kosciusko Community Hospital in 2016. 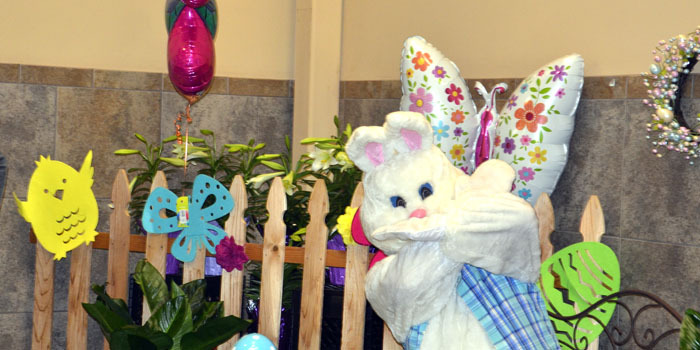 WARSAW — Martin’s Supermarkets hosted a Meet the Bunny fundraising event Saturday, April 13, and Sunday, April 14. 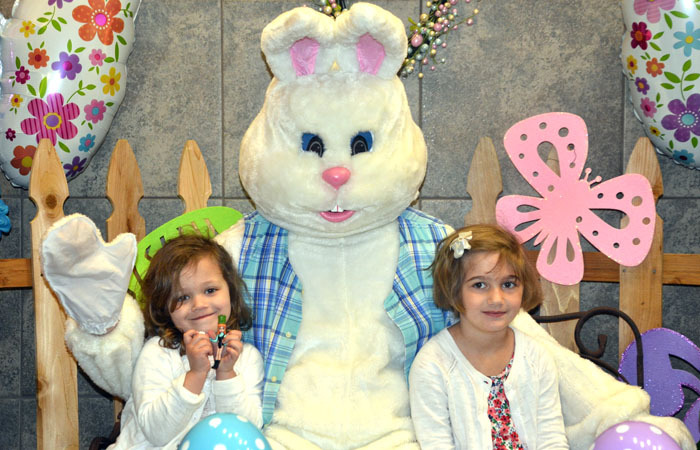 Visitors of all ages stopped by to take advantage of the opportunity to have their picture taken with the Easter Bunny. The photos were developed and printed immediately and were available for a $2 cash contribution. Each of the 21 Martin’s Supermarket stores located throughout Indiana and Michigan participated in the event, with proceeds to be donated to each store’s chosen charity. The Bailey R. Moore Foundation was chosen as the recipient of the Warsaw Martin’s Supermarket event. Pictured, from left, Kylie Rick, the Easter Bunny and Lydia Bradbury. Both Rick and Bradbury are employees at Martin’s. 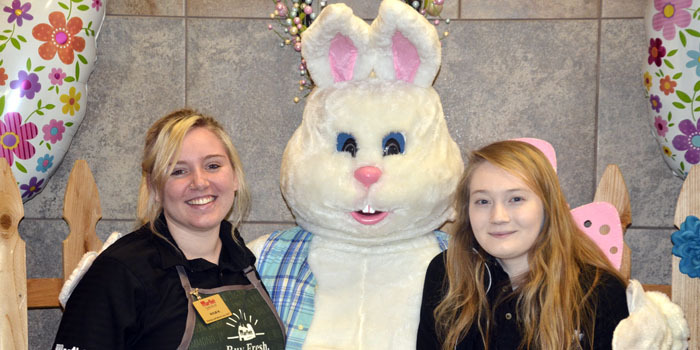 Mady and Mara pictured here with the Easter Bunny. The Easter Bunny taking a break. 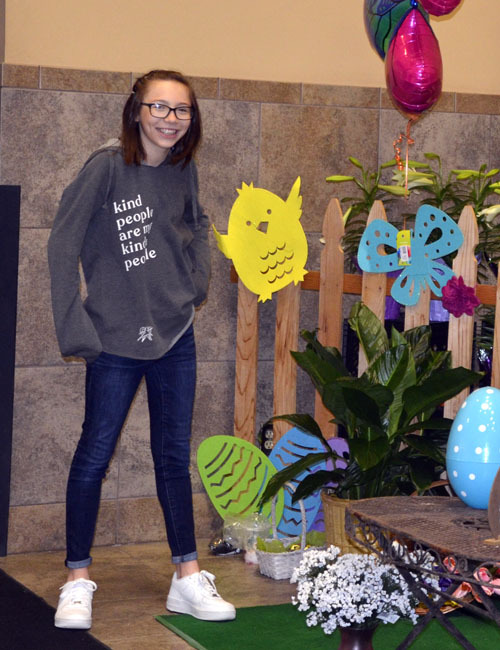 Piper Ellis, Warsaw, assisted the Easter Bunny by passing out treats to the younger visitors.